Rudoku is an expert level puzzle challenge for fans of numbers and logic games. Multiple game modes, difficulty levels, and board sizes will keep your brain stimulated as you decipher the solutions to each puzzle. 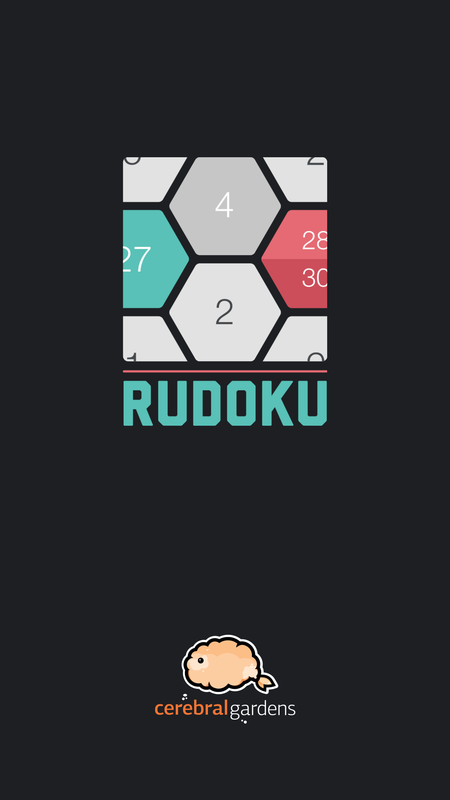 Maintaining high gameplay stats and earning multiple achievements will make Rudoku your go-to brain teaser. Take your time and see how long it takes you in Relaxed Mode. Speed and accuracy come into play in Race Mode when your goal is to solve the puzzle before time runs out. Endless Mode makes each game board increasingly difficult to solve. Think you're smart enough? Download Rudoku now. Endless Playability - Puzzles will never repeat while multiple game modes, difficulty levels, and board sizes keep the challenge fresh and your brain sharp. Game Play Stats - In game stats will let you know the duration of each game, how many moves you made, your win percentage, and more. Dark and Light Colour Modes - This great accessibility feature makes the screen easier on your eyes in the dark. Multiple Achievements - Earn awards and Game Centre points a number of different ways including level achievements and stats challenges. No In-App Purchases - Pay once and play. No need to waste time on ads or pesky in-app purchasing gimmicks.